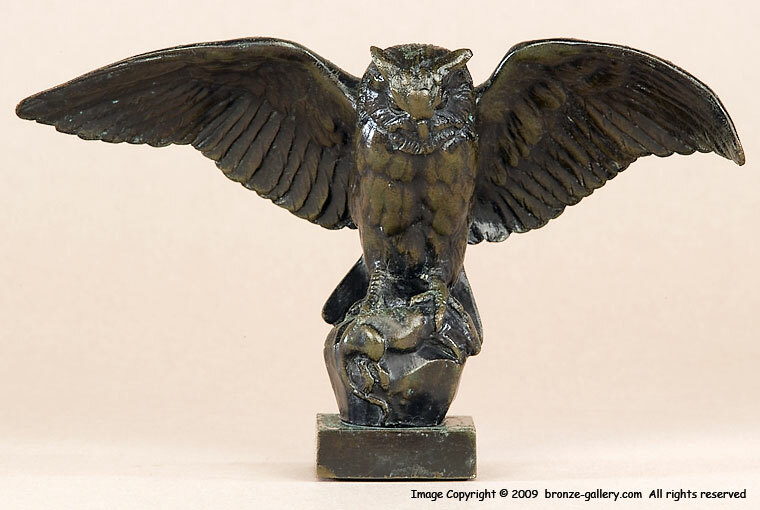 The model of the Owl with a Mouse is one of Barye's earliest animal sculptures created in the late 1820's. The Owl sits perched on top of a single boulder with its prey, a Mouse, clutched in its talons. 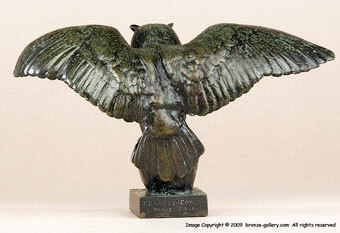 Barye has captured the full detail of the Owl's feathers in its outstretched wings captured in the moment of flight. This example is finished in a dark brown and green patina and is a fine cast by the famous Barbedienne Foundry of Paris who cast many of Barye's models. The early miniature works by Barye do not come up for sale often and are highly sought after by collectors. It is a powerful model that seems much larger than its small scale.